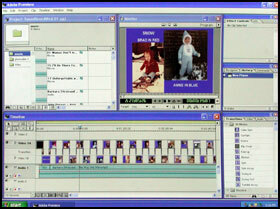 Let us upgrade your present computer system so you can create your very own home or business video then burn it to DVD or save it as a Web version. The upgrade includes 10 hours training at your home or business to get you up and running. More training hours may be purchased at our studio as needed. Or we will recommend a new high end computer system capable of creating video projects and DBK will configure & set it up for video.